Biblical Cooking - Honor God By Cooking Wisely! Because we love God and are grateful for His blessings upon us, we rely on scripture for our recipes and advice. For over 10 years, the Biblical Cooking website has featured delicious and healthy breakfast, lunch, snack and dinner recipes. We are delighted to provide biblical answers to your questions pertaining to foods or ingredients of the Bible. It's Never Been Easier To Honor Your Temple For God's Glory! Fasting is a proven way to bring us closer to God. It's also a powerful tool that's been used for ages to achieve and maintain a healthy body. When you fast, you still provide your temple with everything it needs to thrive, but since fasting is sacrificial, it does involve holding back on dead foods. 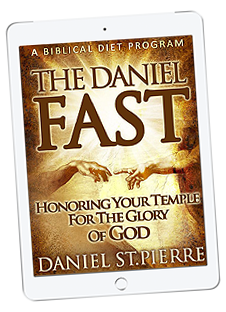 The Daniel Fast is produced in PDF (Portable Document Format), and can be viewed using desktop or laptop computers, tablets and most mobile phones. Since The Daniel Fast is delivered electronically upon purchase, you don't have to wait for your book to ship! 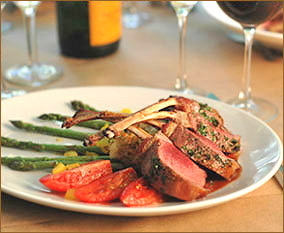 This week's feature dish involves a most succulent biblical red meat: Lamb! Tastier than your average lamb chop, King David's Lamb Cotelletes feature market fresh roasted roman tomatoes and crisp asparagus. Start out by slicing as many roman tomatoes you need into quarters. Layout on baking sheet next to asparagus. Sprinkle olive oil and season to taste. Roast veggies in 450 degree oven until perfect consistency is achieved, usually 8-12 minutes. Remove tomatoes and asparagus from oven and lay on stove top making sure to keep warm. Braise veal rack or cutlet under your broiler for 6-8 minutes or until it's crisp and browned perfectly. Lower oven temperature to 400 degrees for 5-7 minutes. If using a thermometer, cook to 170 degrees Fahrenheit. Slice and serve. Garnish with fresh parsley and a splash of lemon juice. Say grace & enjoy! "Your bodies are temples of the Holy Spirit, who is in you, whom you have received from God"
Are you looking for bible inspired dishes for your restaurant or home kitchen? If so, you came to the right place! Delicious bible inspired meals certain to help you start the day just right. Did you know "anatomically" breakfast is the most important meal of the day? 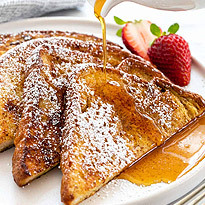 Miss breakfast and you'll miss out! 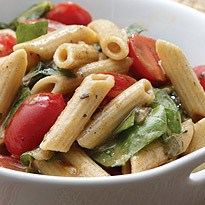 Nutritious mid-day meals that are not only easy to prepare, they're godly! 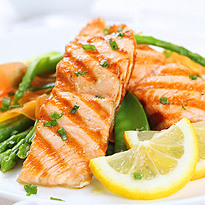 Honor your temple by eating high energy fresh foods certain to help you get through the afternoon. Healthy meals featuring God's living gifts to mankind. Yes! We are called to kill and eat, and so we shall! Find hearty dinner ideas for you and your family to indulge in, for God's glory! Most orders ship Free from our partner Amazon. The author, Kitty Morse lists all the foods mentioned in the King James Bible, but assumes there were others, too, because the writers of the Old and New Testaments were, logically, more concerned with theology and other events than with "botanical, zoological, and culinary matters." Morse also explains what grains were available and how they were used. There are recipes you will enjoy, such as Toasted Ground Almond and Sesame Dip; Chicken, Leek, and Garbanzo Bean Stew; and Apricots with Pomegranate Seeds and Toasted Nuts in Honey Syrup. A Biblical Feast is recommended for teachers and for those who might use its information in family activities. This book looks at eighteen meals found in the bible, providing full menus and recipes for re-creating some of the dishes enjoyed by the peoples of biblical times. While describing how ancient cooks prepared their foods, this book also explains how contemporary cooks might use modern techniques and appliances to prepare each of the eighteen meals. To set the scene for each meal, the book examines the scriptural text in detail, describes the backstory for each, and, in the process, traces Judeo-Christian history from the ancient city of Ur to the lands of Egypt to the holy city of Jerusalem. After nutritional consultant Rubin nearly died from an inflammatory bowel disease that caused him to lose 50 pounds and suffer severe pains, he devised an approach to health that combines wholesome eating with a heavy dose of faith. Indeed, while Rubin presents scientific evidence of his plan's effectiveness and detailed lists of recommended supplements and foods, the diet's religious aspect is fundamental.